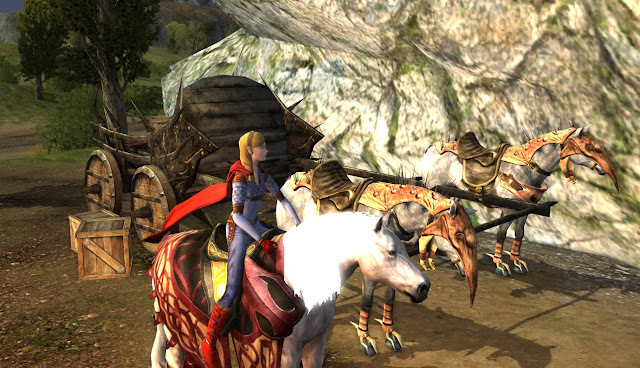 Supergirl of Lorien: 1st Age LIs, Rohan healing rings, fans! 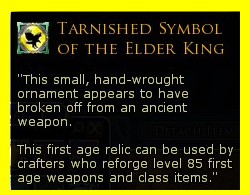 1st Age Legendary Items for level 85: Update 10 brought symbols for crafting 1st Age LIs for level 85. The symbols drop in Erebor Raids at level 85. When U10 released (03/06), the symbols would drop in T1 Erebor Raids. Turbine, deciding that was no good, pulled the plug on 1st agers in T1 for update U10.02 (03/20) and now they only drop in T2 Raids. While I gave it a shot, I was 0 for 44 T1 raid wins on receiving 1st Age symbols during the 2-week period. Sigh, rotten luck. Buy it from the AH since it is not bound. 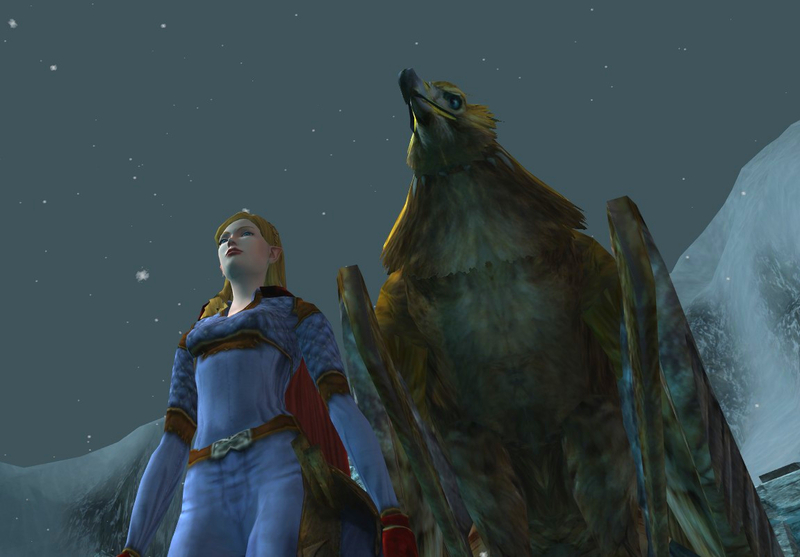 Right now, they are occasionally listed on Arkenstone at ≈ 1000g, yowsa. So, your options are T2 Raid persistence & luck, earning the seals to barter via many of the 3-person, 6-person, or raid instances and skirmishes, or having a fat barter wallet and fluid AH market. Instances earn 2 – 10 seals per run. 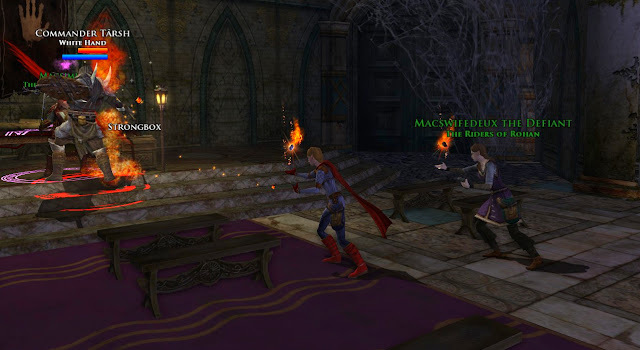 As mentioned in the previous article, having a few people around to group with, you can pick your favorite instances and make a fun time of it earning lots of various loot and seals in a short time. Occasionally, I am able to have time to Raid and my kinship gathers for a Raid once or twice a week, so Random rare drop is not out of the question… I’m just not holding my breath hoping for a lucky roll in a T2 raid win. I’m actually very thankful that we are allowed to barter such an item. In olden days, random luck was often the only option to get nice things. I consider the barter option a huge step forward for the game. 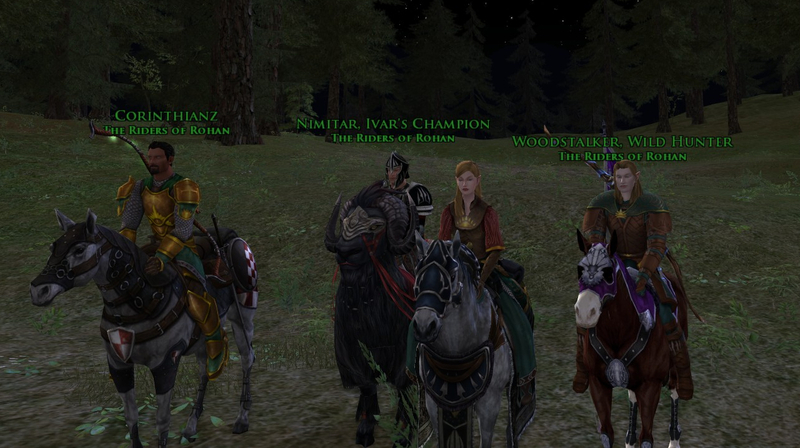 Win on all three T1 Erebor Raids (Defense of Erebor T1 deed), then barter for 488 Seals. Win on all three T2 Erebor Raids (Defense of Erebor T2 deed), then barter for 427 Seals. 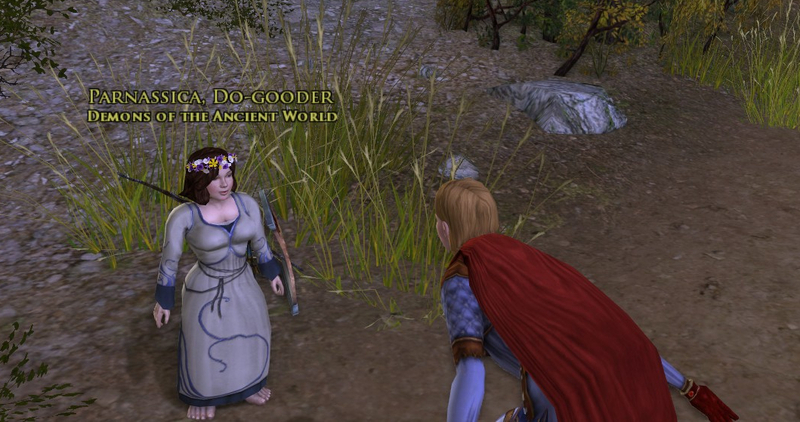 With on all three T2 Challenges (Defense of Erebor Challenge), then barter for 366 Seals. At this time, I do not know anyone who has won all three T2 Raids at level 85 or the Challenges though I wouldn’t be surprised to see someone show up with a post on youtube one day in the not too distant future. There are a couple of videos out there showing The Fires of Smaug T2 Challenge now. The T2 Lonely Mountain feels impossible, lol. 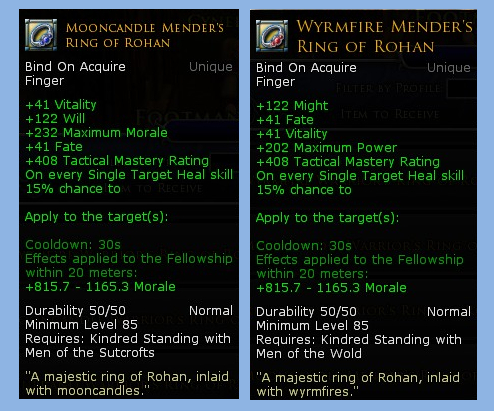 In the previous post for Update 10.1, I mentioned that Eswe had a couple of new Healer Rings (u10-rohan-rings-complete-hytbold-in-15) so I wanted to show what they look like for comparison. Clearly, one is for Minstrels and RKs and the other one is for Captains. The RK ring takes the same Sage upgrade path explained in the post on Rohan Rings. Parnassica is leader of her kin and had kind words to say about the site. Thank you! Forgive me that I am not the best at taking pictures of hobbits… I often just get the tops of hobbit heads. M: It's Dan-an-eee-ah... it's the Super-Girl of Lorien. G: It's the Super-Girl! I always just call her Super-Girl! D-a-n-a-n-i-a.net is her blog. So she was nice enough to send me screenshots of what it looks like dyed. M: Yea... she's a biiiiiiig horse fan. She's awesome. M: She's a great blogger, if you are not following her, you need to follow her. G: She's super nice, she was like, "Do you need a picture? Here you go..."
(I think that's the correct representation in the International Phonetic Alphabet). I accent the 2nd syllable - is it supposed to be the 3rd? I get the impression from the way you wrote your name that the 1st, 2nd, 4th syllables are supposed to rhyme, and the accent is on the 3rd. Frodo: Wait... there is a name. It's some form of Elvish, I can't read it. Gandalf: There are few who can. The language is the that of the super girls, which I will not utter here. Gandalf: In the common tongue it reads "dah-nah-knee-ah" - meaning, "One RK to rule them all. One blog to find them. One blog to bring them all and in the darkness bind them." Mmojuggler, thanks so much for the Phoenetic lesson! I feel kinda silly turning my head upside down every other letter to read my name. Teasing. lol. Like G'star says, y'all can just call me Supergirl. I have the picture taking problem in reserve...taking group shots from hobbit level.